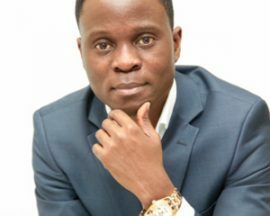 Geoffrey Semaganda is a world-renowned speaker, mentor, businessman, and philanthropist whose best-selling books and seminars have inspired thousands throughout Europe and the Middle East, Africa, Asia, and the States. As founder and CEO of the Action Wealth Group, Geoffrey consults to companies and organizations around the world, particularly in real estate and global business development, helping them to develop new opportunities and run more efficiently, effectively, and profitably. Through his expert trainings and product development programs, Geoffrey’s Action Wealth Publishing company has helped hundreds of ordinary people leverage their knowledge, experience, and passion to produce books, workshops, and substantial wealth-generating suites of products. Geoffrey is a spokesperson for three international charities dedicated to causes he works tirelessly for: Youth Development, Fresh Water Wells, and Giving Blood. He often shares the stage with some of the best business and motivational speakers in the world, has appeared on numerous television and radio shows all around the globe, and educated more than 500,000 people through his business consultancy courses and live seminars.